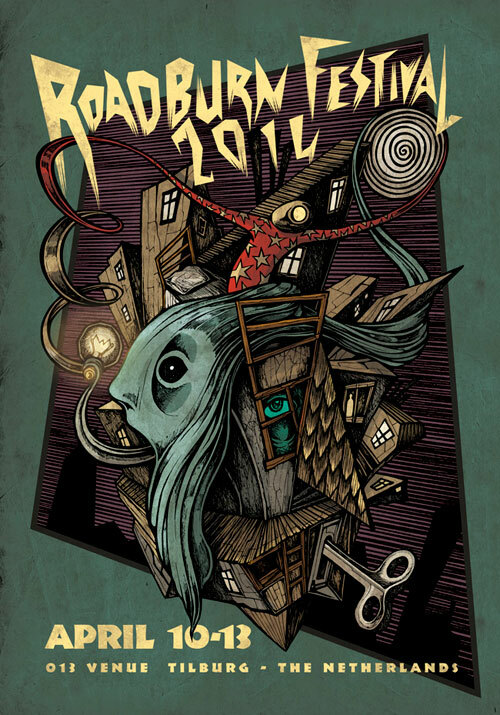 Home » News » Roadburn Festival 2014 Audio Streams – Noothgrush, Samothrace, Whitehorse, Windhand & More! Roadburn Festival 2014 Audio Streams – Noothgrush, Samothrace, Whitehorse, Windhand & More! Many of us made a promise to check out various overlapping bands at Roadburn 2014, only to find ourselves riveted by a monstrously good set. Which is why this next part of every year’s Roadburn extravaganza is almost as highly anticipated and appreciated as the event itself: that’s right, it’s time to share the 2014 audio streams! Once again, Marcel van de Vondervoort (Torture Garden Studios / Spacejam) and his team expertly captured the sounds on stage. While you were worming your way through a Green Room doorway jam, they were recording the jams inside. Now it’s time to kick back and relax and just listen. The VPRO’s 3voor12, which is the best cultural media network in the Netherlands, is making it possible to share these streams with you.